Hey, everyone! It's Lynnea and I have an easy die cut inlay technique to share! And I used the April mood board as inspiration. I was inspired by the purples throughout some of the photos. 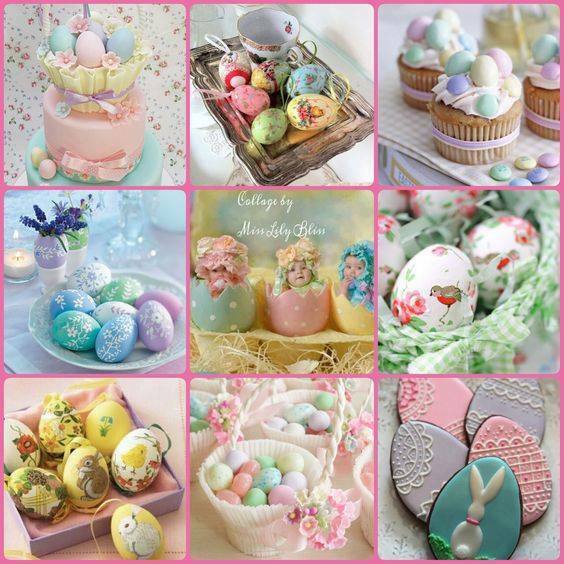 If you want to play along in our mood board challenge click HERE! There are prizes to be won! 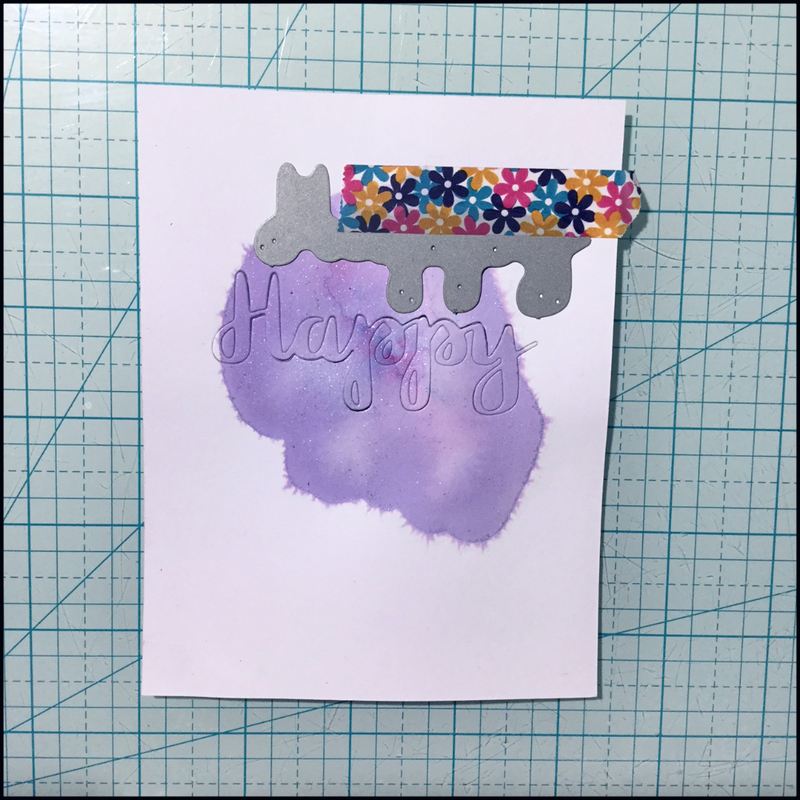 Just use CDD products to make a project and link it up using #CDDMonthly! Here are the supplies I will be using today - Happy Dies, Donut Party stamp set, Flag Banner dies, and I'll finish off with some glitter Nuvo drops! I started by watercoloring a blob onto cardstock and spritzing it with some water mixed with Perfect Pearls. This gave it a shimmer that I just love! 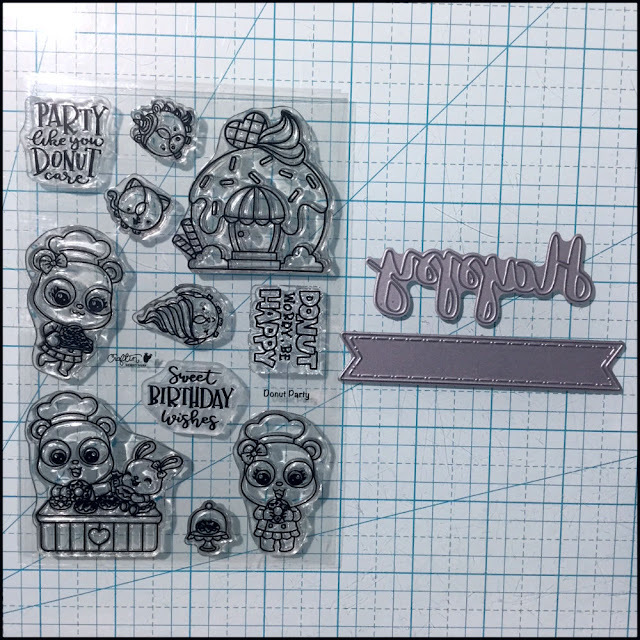 Next, I taped my Happy die in place and ran it through my die cutting machine. 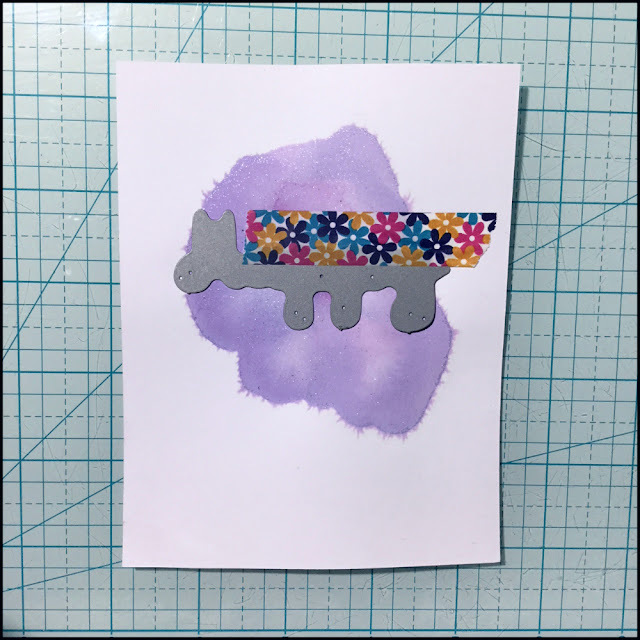 Before removing the die from the paper, I added a strip of adhesive to the back of the cardstock to hold all the pieces in place. 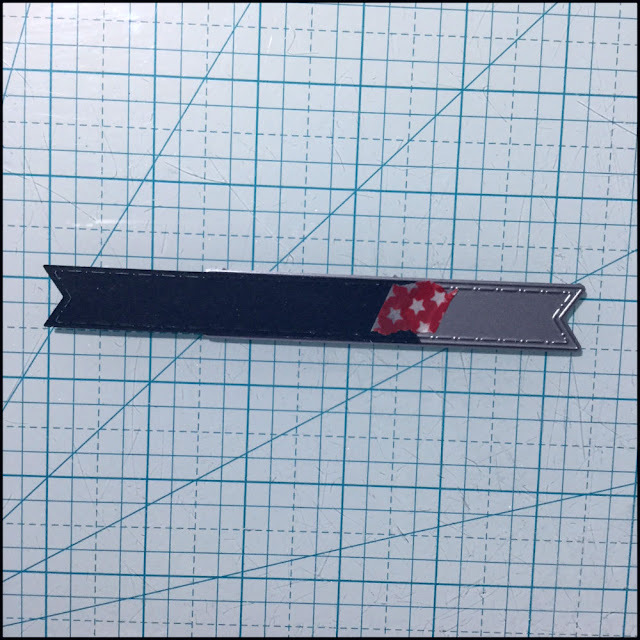 This is the easiest way to do inlay! The pieces never actually leave the paper, so no need to go through the hassle of gluing tiny pieces in place! ...And again until I had "happy" die cut and inlaid three times. 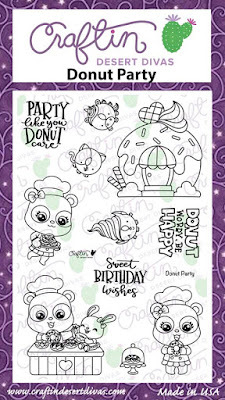 I wanted to add "birthday" from the Donut Party stamp set onto a banner from the Flag Banner die set, but my sentiment was too short and would silly on such a long banner. To fix this I did some partial die cutting. 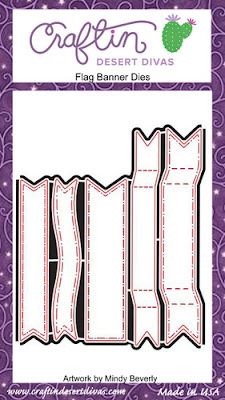 I die cut the whole banner once and then moved the paper up a little and popped it back into place and die cut it again. This gave me a shorter banner that was perfect for my sentiment! 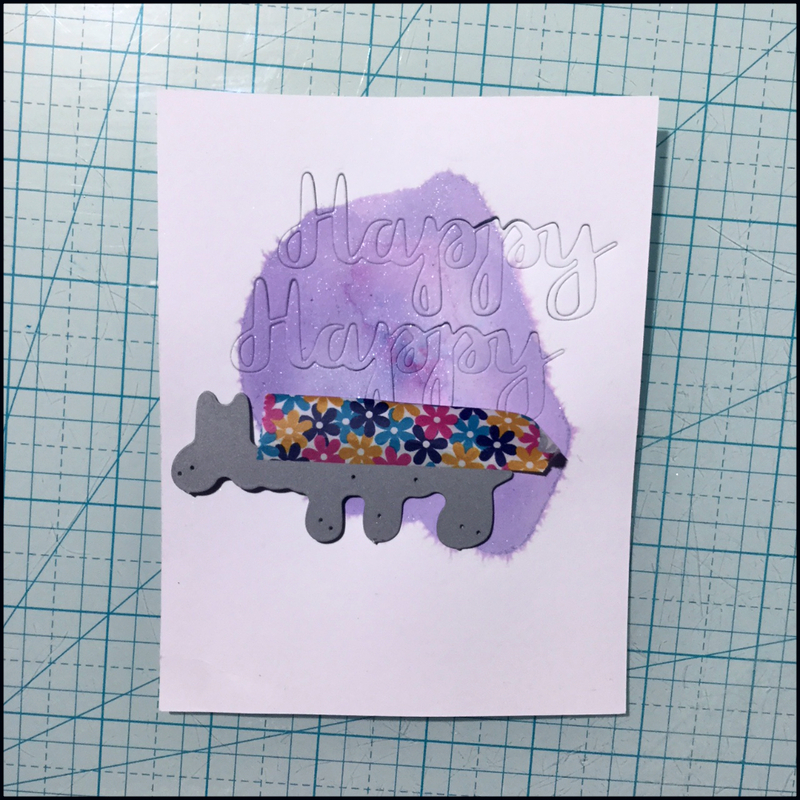 I finished off the card with some glitter Nuvo Drops and a little donut image from the same stamp set!